Do you really want to make you vacation meaningful this summer? Would you rather spend your time to create positive difference in the life of people than just travelling for fun? Volunteer FDIP offers the best and affordable Summer Group Volunteer Programs in Nepal. You can participate in various group volunteer abroad programs with your college mates, family, neighbours, colleagues or other friends. However, you can volunteer at any period of time throughout the year, but there are plenty of group volunteer projects which run exclusively during summer time. In these program, you will be participating in service projects as a volunteer, stay with a host family, share and immerse into the local culture and at the same time, exploring the touristic and historical places and villages in Nepal. You will surely return back home with the gift of lifetime memories and rewarding experience of volunteering in Nepal with your family or friends. Many children in Nepal are deprived due to the poverty and the aftermath of various calamities and conflict and wars. These children deserve a better and happier life which can be possible through your support. This summer, spend your holiday with children who desperately requires your time and effort to ease their life. Summer Group Volunteering in Orphanage allows you to work with a group of your friends and family to make positive difference in the life of children by supporting them in their day-to-day work, sanitation, educational and recreational programs, counselling and so on. As a volunteer you will make children feel like being loved and cared. Your role as a volunteer in an orphanage will be to teach english and other subjects, organize games and extra curricular activities, share your honest feelings, skill training for children. However you are not expected to create dramatic change to these kids. Your time and effort will gradually make impact on the life of kids. Teaching at School during your summer holiday is one of the best idea to support school children with their knowledge and skills. Make a group of friends or relatives and travel to Nepal to volunteer in a school at rural part of the country for teaching English to the kids. This helps the children to enhance their english practices as well as other knowledge and skills. Through your volunteering kids will receive quality education which they have been lacking from the community schools in Nepal. Teaching kids in a school and exploring the place around is one of the best way to spend your holiday. While volunteering at schools, you will be mostly teaching english to the children. English is one of the important language for educational as well as personal growth of a kid. Besides, you can share your experience to inspire these children and equip them with other skills like computer, art or music. Make your summer vacation worthwhile and rewarding by volunteering in Monastery to teach buddhist monks in Nepal. 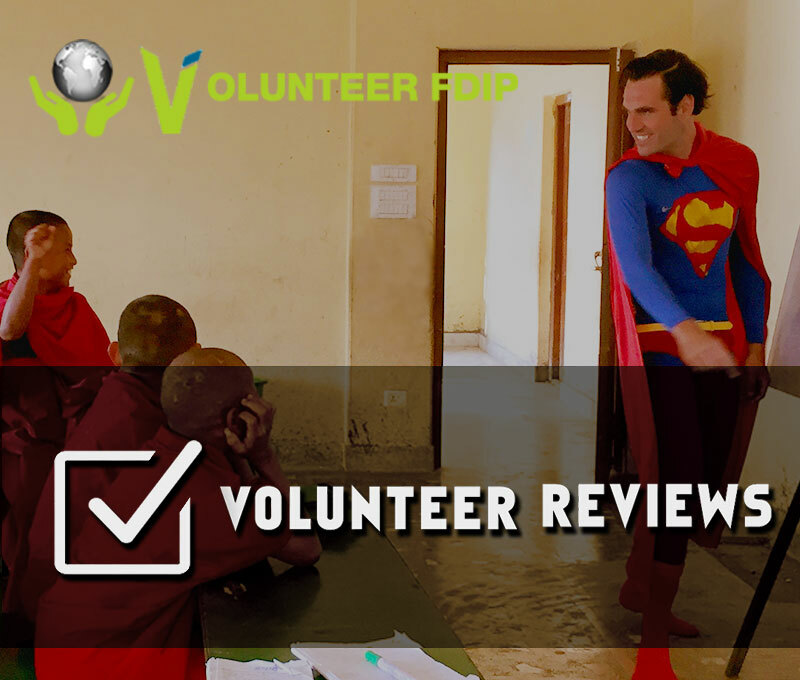 Volunteer FDIP offers Summer Group Volunteering program in Monastery where you can work alongside your friends or relatives to share your knowledge and experiences with the buddhist monks. Teaching english language to the monks will allow them to compete in different circumstances in their near future. This also provides volunteer with an opportunity to get insight into buddhist culture while making a contribution. Volunteer will be staying and participating in the monastery in Nepal. Mostly volunteer will be teaching english to the monks. However, if you have extra skills and knowledge of like computer, art, science and music, you can also share these with monks. This will support in the overall development of a buddhist monk. Volunteer with a group of medical professionals or the medical students to contribute in public health programs in Nepal. Nepal being a developing country lacks proper assistance in the field of health and sanitation. Your participation in a summer group medical volunteer program will help assist in different healthcare and sanitation program to support disadvantaged people and community of Nepal. In this program you can volunteer in an established hospital to learn and share your skills. However, volunteering in health posts and clinic in countryside can create more impact of your time and effort. As a medical volunteer you will assist the program with basic skills on medical treatment as well as counselling. Volunteers will get an opportunities to look closer to the health problems and situation of rural part of Nepal. This can be an wonderful opportunity for a health worker to explore and learn about the health situation of different part of the world as well as to enhance their skills on medical treatment and healthcare. If you are studying about environment or you are part of team working for the conservation works then this group volunteer projects is the for you to contribute in wildlife conservation and environmental issues like global warming and energy crisis. Volunteer FDIP offer a summer group volunteering in Conservation programs to work for the conservation of wildlife and natural resource for the overall development of a community as well as nation as a whole. Nepal is a diverse country in the regard of nature and natural resource. However, increasing population, lack of education and expertise and issues like global warming are causing the hostile environment for wildlife and other natural resources. Helping other is a noble deed. Why not to give your leisure time for someone desperately looking support for well-being and even survival. Summer group volunteering is volunteering package offered by Volunteer FDIp for groups to work as a team for the contribution in public welfare projects in Nepal. Travel Nepal with your friends, co-worker or a group of professional with a shared goal of creating positive difference in the life of people and community. Volunteering in summertime is a best way to do something meaningful by spending your time and effort to help other live happily. Helping other to uplift their living is always a successful and rewarding job. So, why not give your leisure time to someone desperately standing in need. If you like to embrace the summertime beauty of the place, immerse into the local culture, meet new people and learn their language while contributing for community project then, definitely Summer group volunteering in Nepal is what you are looking for. During summertime the weather is hot and wet at times in Nepal. Average temperature ranges from 200C to 250C at day during summer. If you are from the region hotter than this then you can definitely feel the chill. However, if you belong to cooler region of the world and want to experience the extreme then summer group volunteering camp is for you. It is always a good idea to enjoy with your friends in summer. It would even be a best idea to travel overseas for the summer holiday for an exciting and adventurous trip to different and unseen part of the world. If this really sounds amazing then why not backpack and start an unforgettable journey to support people for their hardship in life while being a part of the place. If you are done with the summer in the beaches and want to do something really amazing and satisfying then join summer group volunteering camps to serve for community and public welfare projects. It is an wonderful way of utilizing your free time to create some positive impact on other people’s life.